What is the Best Vacuum I Can Buy to Maintain My Carpet? While there's nothing like professional cleaning in terms of benefits for the carpet, this doesn't mean that regular carpet maintenance should be overlooked. 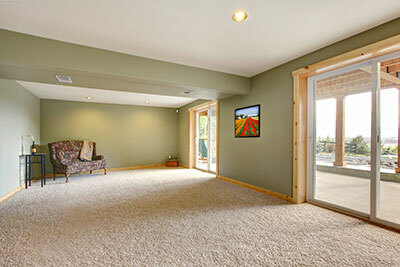 As great as our results can be, you are the one who ultimately decides your carpet's fate both by the conditions you put it in and the frequency and effectiveness of your carpet maintenance. Corpus Christi Carpet Cleaning Pros urges all of its clients to have a carpet cleaning schedule no matter the carpet's individual condition. When we say carpet maintenance, we mostly mean vacuuming – this is the safest way to keep your carpet in shape year-round without putting in too much effort. Vacuuming regularly will do wonders for your carpet and will make it look as if it could be put up for display in the store. But is your vacuum cleaner fit for the job? Vacuum cleaners can vary greatly based on power and features and it might be time for you to do an upgrade. 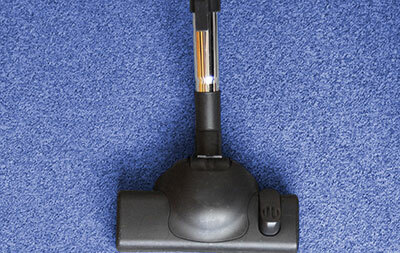 If you find yourself asking "What is the best vacuum I can buy to maintain my carpet? ", you've come to the right place. Here's an overview of the 3 best vacuum cleaners you can find on the market from a professional's standpoint. Hoover Linx Platinum Collection Stick Vacuum Cleaner: Stick cleaners are a matter of preference – while some swear by them, others can't imagine using one. The Linx is definitely among the best stick vacuums on the market as it's got terrific power, a sizeable trunk and an affordable price. One thing that the Linx lacks is a flashy design – it's not unattractive, but you might find yourself wanting to hide it in the closet after a cleaning session. There's also a distinct lack of fancy features and cleaning modes that commercial vacuums now seemingly have by default, not that they end up making much difference for the home owner anyways. Bottom line: the Linx can comfortably replace your current vacuum cleaner without emptying your pockets. Neato Botvac Connected Robot Vacuum: Automated vacuum cleaners are quickly becoming all the rage – most homes and their carpets suffer from the home owner's lack of adherence to a cleaning schedule, meaning that a robot vacuum might be just what you need to keep your home in shape. The Botvac has enough strength to clean even the truly dirty areas on its own and will do a great job of avoiding obstacles while doing so. Another groundbreaking feature of the Botvac is that it can be controlled through an app, making it a popular choice among our tech-savvy Corpus Christi clients. As you might have expected, however, the price is prohibitive: you can get a quality vacuum cleaner for a fraction of the Botvac's $700 price, although you'll have to do the cleaning on your own. Oreck Touch Bagless Vacuum: Oreck's Touch is a standard vacuum cleaner in many ways and yet it beats out most of the competition handily. With the Touch, you won't have to deal with bags as the vacuum has a container that's easy to empty. And while the Touch's performance is surprising in a positive way, what really stands out is its design – it's one of the better-looking commercial vacuums we've come across and you should have no problem keeping it out in the open. The price isn't that great, but if you're looking for a standard vacuum with top performance, this one might be worth looking into.